It was not much to know, but we were not in doubt - it was our son! 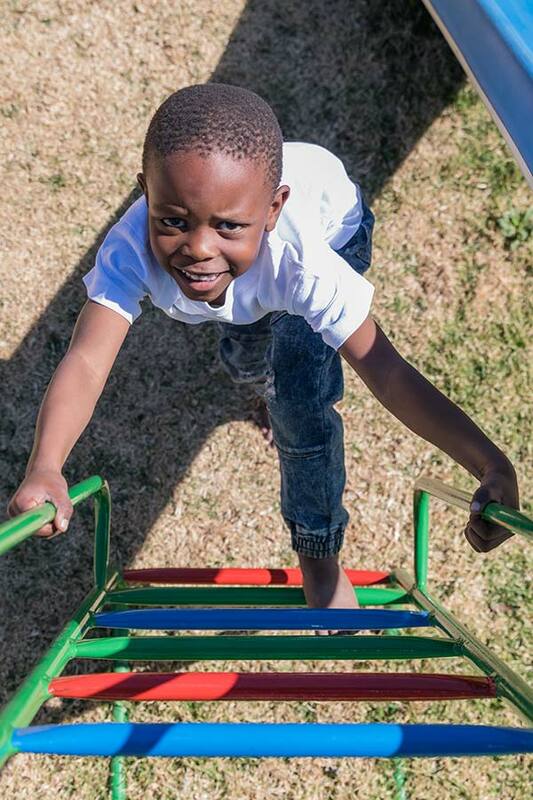 We believe God has chosen him and us to be a forever family - Just like Elliot’s new older brother, Elias Baraka. 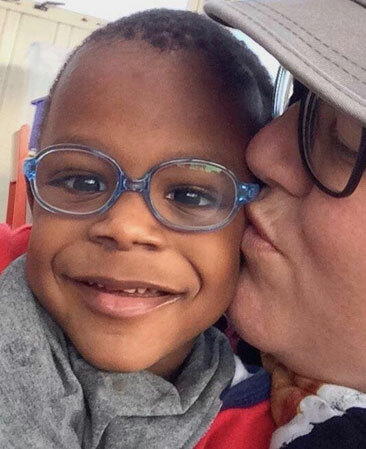 We immediately contacted the adoption agency and after some weeks of waiting time and additional conversations with physicians and our caseworker, we were finally approved for our blessing, Elliot. We have not regretted it for a second! Elliot was our son from when we first heard about him. He has challenges, yes - but not cerebral palsy, which we first heard about. We now know he has a brain injury, but we do not know what it will mean for him later in life. We take one day at a time and rests in the fact that God is in control of the future. In Denmark, we have a really good network and get much help and support from the state. We are deeply thankful for that! But in everyday life it is not handicap, not brain injury and not things like that we see when we look at Elliot... We see a happy boy who thrives, who loves to make fun and have the most wonderful humour. He smiles and laughs and challenge themselves. He has a will made of iron and it will all in all help him through life. Elliot has repeatedly shown us that he will not be treated as "special needs" child. He wants to do the same as the rest of us. He wants to be Elliot Blessing! And that is what he is - a great blessing in our lives. Just like his older brother, Elias Baraka. It is a huge privilege to be the parents of those two boys. And we love them both the way they are. It all started in June 2012. It was as if a whole world started to open up to us, a dark, sad world that we had never seen before. Everywhere we looked we saw, heard or read of the state of orphans, abandoned babies and children needing care all around us. It was as if it was highlighted in bold letters wherever we looked. My husband Dan and I started to look around and ask questions as this grew in our hearts, but not knowing where to even start. We tried several agencies, spoke to social workers and friends that knew more than we did, but because we were young and had only been married for a few years, the doors weren't opening for us to get involved in making a difference. For us, making a difference, is one person or little person at a time. Eventually, this was the thing that was burning in our hearts, and even though we were nervous to take the leap, and didn't know how it would happen, we knew that seeking out adoption was the only answer for us. We trusted that we would find the little person that we felt we loved already, and we finally did! In June 2013, we got a call from a social worker we had met with, and she referred us to Rene Testa from Barnswallows Home for the Abandoned. We contacted her and she informed us that there was a little boy that had been abandoned in her care that needed parents. We shortened our holiday plans and came home to meet the little boy, who would later become our son! After getting all the necessary paperwork sorted out and dealing with the social worker in charge, on the 7th of August 2013, we took our 10 week old baby boy home! Bonding was different from our experience with our biological child Alea, but it was special and beautiful in its own way. Luke very quickly became a part of the family, creeping into everyone's heart with his big eyes and sweet heart. Jumping forward a year, good friends of ours, Kent and Charmaine McQueen, opened another baby home, Swallows Nest, under the covering of Barnswallows Babyhouse, right around the corner from where we live (Swallows Nest has since become The Almond Tree). They had seen some very sad situations in the short time they were open; babies being abandoned, starved, and neglected, or parents who still wanted to be involved but were addicted to substances. One terrified little 19 month old girl was placed with them after having suffered starvation, with severe kwashiorkor and neglect. We watched as the process of restoration began to take place in her little body and heart while at the baby home. The problem was that her case wasn't simple, because although her mom wasn't fit or able to take care of her, she didn't want her to be placed with anyone else either. The only way forward for this little girl was for her to be fostered. We had never really considered foster care, it always seemed too 'risky' for us. How could we fall in love with a child only to have them ripped from our family down the line? We had Alea and Luke to consider too. How would this affect them? After giving it a lot of thought, prayer and consideration, we felt that it was worth the risk, that Emma, was worth the risk. So, on the 30th of September 2014 Emma joined our family and we are currently in a two-year foster process with her. I would be lying if I said that it was an easy journey. There have been all kinds of hiccups and challenges along the way, but if I look at all the improvement and healing that Emma has undergone since she was placed with the baby home, and then with us until now, I am absolutely amazed! She learnt to walk at 20 months. She learnt to climb, to feed herself and is now potty trained. Above and beyond that, she is learning to trust, to laugh and to play with other children. She is learning to receive love and how to love. Now, at the age of 3 and a half years old, there is a long road ahead for her as she starts speech therapy and still has emotional setbacks, but that is part of what's needed for her to be made whole. She has come so far and will go even further. Alea, Luke and Emma absolutely love one another. They are brother and sisters. 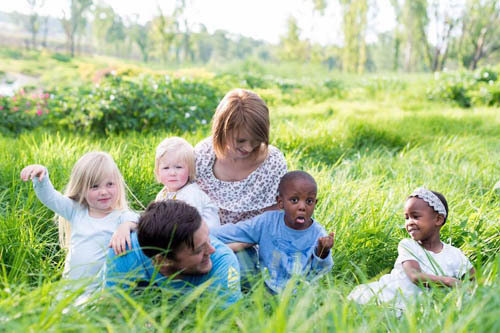 We are convinced that God places families together and puts the lonely into families - Psalm 68:6. It doesn't matter what our backgrounds are, or what the world has dealt us, there is always hope. Hope in God. Since this article was written, baby Misha has been added to the Barnard family. The Almond Tree was put into contact with Angels mom and she began a reunification process under the careful supervision of our trained caregivers. She was trained over three months in parental care and The Almond Tree staff worked hard to encourage and support her on her journey. 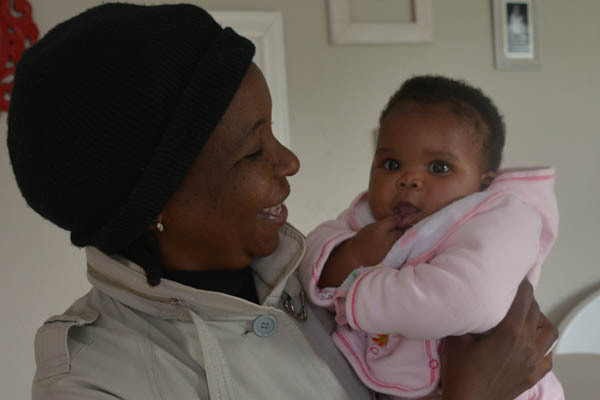 Over those 3 months we were instrumental in assisting this mommy in reuniting her with her baby girl. This story has many more details, but it is simply about a mom who made some poor decisions, chose to place her baby for adoption, but in the end simply could not do it. Today, Baby Angel is home with her mommy where she belongs and where they are both doing very well.